Did everyone survive Black Friday??! Shelby and I had a great time hitting the stores and getting our bargains! 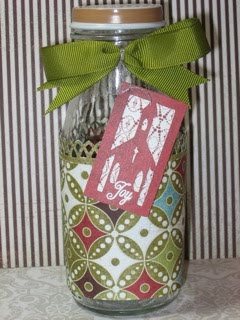 Now that the Christmas season has officially started, it is time to start working on Christmas gifts. 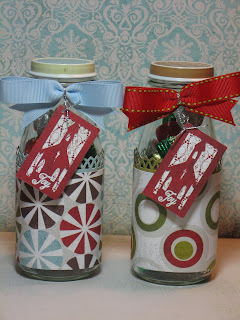 Here is an idea for a simple Christmas gift that you can easily mass produce. 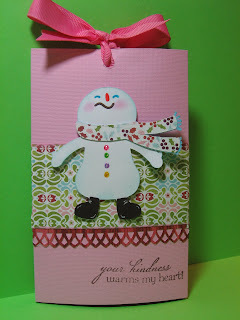 I used the Snow Friends Cricut cartridge for the snowman and Basic Grey Eskimo Kisses paper. Hope you have a great weekend!! Happy Thanksgiving everyone!! Hope you all have a wonderful day. 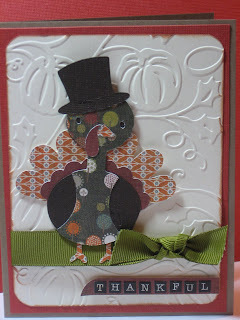 In case you want to do some holiday crafting this afternoon after your turkey dinner, here is a super-simple holiday card using the Cosmo Cricket Jolly By Golly paper. 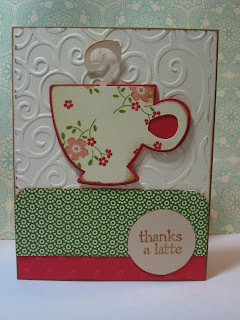 This card was made by using the Stretch Your Imagination Cricut cartridge. I also used stickers from the Tinsel & Twig sticker pack from The Girls' Paperie. 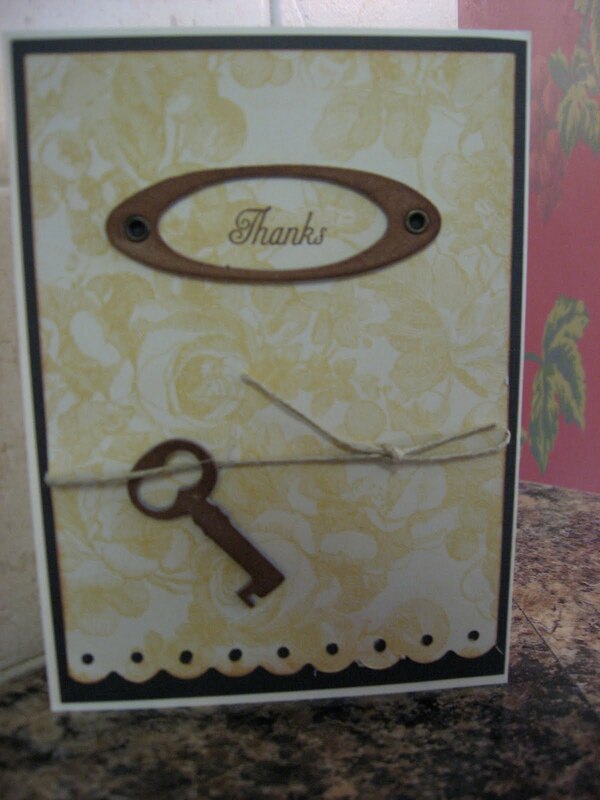 Here is a card I made using the Birthday Cakes Cricut cartridge and paper from October Afternoon Thrift Shop Collection. 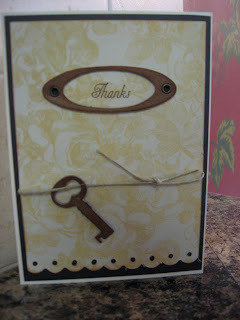 I also used the Cuttlebug to emboss the swirl pattern at the top of the card. I thought it would be appropriate that my very first video be a "Hi There" card. Be gentle - video making is completely new territory for me! I hope you enjoy the video and I hope it inspires you to just have fun in your crafting. Cricut's Create A Critter cartridge is so cute! The little skunk and chick are especially cute. I used the stamps from My Pink Stamper's Punnylicious stamp set. The cooler weather has put me in the mood to do some Halloween crafting! I made this card using Fiskars paper and Making Memories Spellbound alpha stickers. I made the spider and web with the Doodlecharms Cricut cartridge. 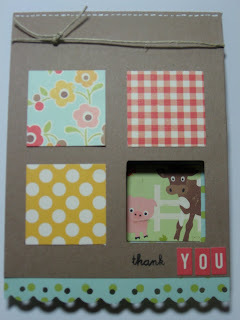 Here is another thank you card using the fabulous October Afternoon paper. The letters are Puffy Alpha from Making Memories. More baby cards! These are for our nephew's new baby, Kainen, and a friend's new daughter, Olivia. 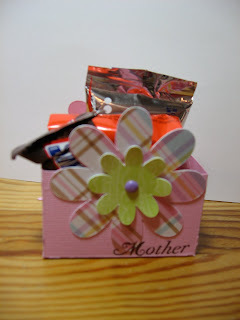 I made these Mother's Day treat boxes using the Sweet Treats Cricut cartridge! Shelby used foil on this card and ran it through the CuttleBug!! I made this cork board for a friend's daughter. I used fabric to cover the cork board. For the name plate, I used Storybook Cricut cartridge for the name and Sweet Treats Cricut cartridge for the base. The bird is from Home Decor. Prima Flowers and Paper Trey Ink ribbon completed the project. 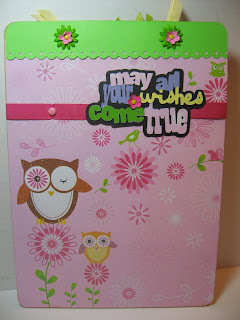 Here is my entry for the My Pink Stamper Challenge. The challenge was to create a project using the colors pink, green and black. I made this clipboard to use for my BSF (Bible Study Fellowship) homework. I wish the pictures could do the adorable paper justice! 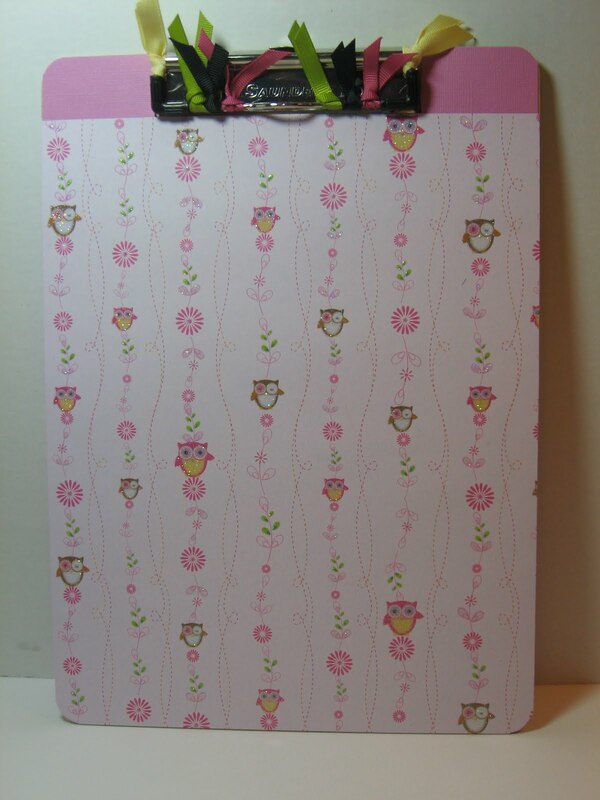 The pink owl glitter paper is from Best Creations. I also used DCWV glitter cardstock, Core'dinations cardstock, Raspberry Fizz ribbon from Paper Trey Ink, and Prima flowers. I used the Sweet Treats Cricut Cartridge. I had the privilege of putting together these baskets that were given away at our church's Easter egg hunt. 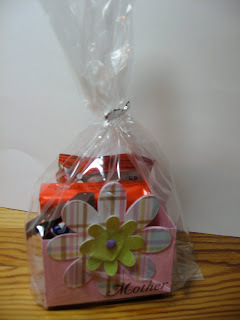 My friend Stacey purchased all of the contents, and I put the baskets together and created tags. I used several Cricut carts. I made the cute bunny for my Easter cards using Winter Woodland Cricut cart. I used the Cuttlebug to emboss the green paper. 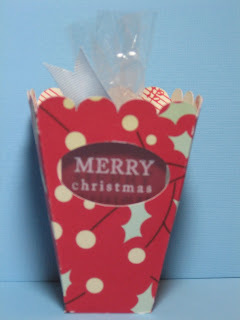 The paper is from Creative Memories. The sentiment stamp is Paper Trey Ink's Mega Mixed Messages.